In financial centers around the world, fintech has attracted large amounts of investment and attention from the private and public sectors as banks seek to maintain their competitive edge amid growing competition from new entrants, and governments aim to position themselves as hubs for innovation. 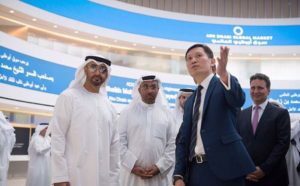 The United Arab Emirates (UAE) is no exception, having expressed its intention to modernize the country through the National Innovation Strategy, a nationwide initiative aimed at creating an innovation-friendly ecosystem. Fintech is set to play a key role in the UAE’s ambition to become a center of excellence for technology. For that reason, the Abu Dhabi Global Market (ADGM) launched last year the Regulatory Laboratory (RegLab), the first fintech regulatory sandbox and framework to launch in MENA which aimed to encourage fintech startups and provide regulatory assistance and advice. The RegLab welcomed its first batch in May consisting of five startups: two local UAE fintechs (Now Money and Titanium Escrow), two Indians (CapitaWorld and Rubique) and one American (Finalytix). In Dubai, the Dubai Financial Services Authority (DFSA) too has moved forward with fintech regulation, launching in May the Innovation Testing Licence (ITL). The new class of financial services license allows fintechs to develop and test innovative concept between six to 12 months from within the Dubai International Financial Center (DIFC) without being subject to all the regulatory requirements that normally apply to regulated firms. 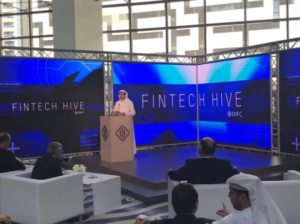 The launch of the Fintech Hive in January by the Dubai International Financial Centre (DIFC) marked a key development in the region’s fintech sector as it welcomed its first fintech-focused accelerator. Aimed at “transforming DIFC into a global fintech innovation hub linking the US, European and Middle East, African and South Asian (MEASA) markets,” Fintech Hive at DIFC is a three-month acceleration program that provides mentorship and support to startup entrepreneurs. 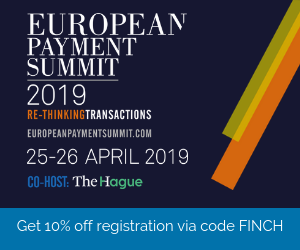 It intends to act as a platform connecting financial and technology firms to develop solutions that improve customer experience and drive operational efficiencies in the financial services sector. When compared to the likes of the UK or the US, the UAE’s fintech startup scene is still at an early stage. Regardless, there are a number of local ventures that are worth keeping an eye on. These include for instance Bridg, a consumer-to-merchant smartphone payment platform that works over Bluetooth. Bridg targets tourists, developing nations and allows for in-flight mobile payments. Another payment startup is Payfort, an online payment service provider serving businesses, government, airlines, SMEs, startups and institutions across the region. The Payfort payment gateway is built with the most sophisticated and latest anti-money laundering technology to eliminate the risk on both the buyer and seller side of online payments. In insurtech, Democrance works with insurers, mobile operators and other industries to offer insurance and protection to the 99% uninsured population in the region. The company operates in MENA. Beehive is a regulated peer-to-peer lending platform launched in 2014. Beehive connects investors with businesses looking for capital. Eureeca was the first equity crowdfunding platform to get an official license from the DFSA back in November 2016. Eureeca works with government in the region to connect SMEs looking for expansion capital with international angel investors. 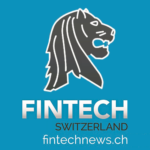 But besides fintech startups, banks and financial institutions as well have been pushing financial innovation. For instance, the National Bank of Abu Dhabi (NBAD) was the first bank in MENA to go live on blockchain for real time cross border payments by leveraging the Ripple network. Other examples are the Abu Dhabi Islamic Bank (ADIB), which partnered with Fidor Bank to launch the region’s first ‘community based digital bank’ back in October 2016 or the Commercial Bank of Dubai (CBD), announced late in November that it is launching “CBD Now”, Dubai’s first digital-only bank. 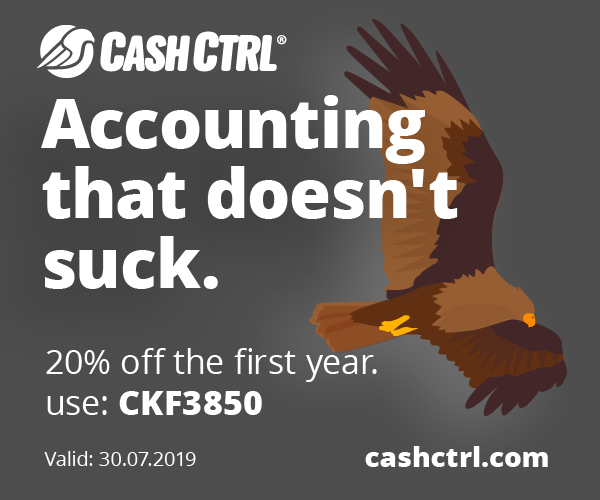 They aim to target millennials and digitally connected customers. Featured image: Dubai landscape city skyscraper, via Pixabay.